Rather than tell an administrative professional or market researcher what they really think, people nowadays are more likely to go online and tell the internet. Listening to what people are saying online—whether by conducting social listening by searching social media channels manually or using dedicated social listening software—is a reliable, fast, and cost-effective way to gather qualitative data to inform engagement efforts. Social listening can help identify not only what your target audiences talk about, but when, how often, and where they tend to engage online. 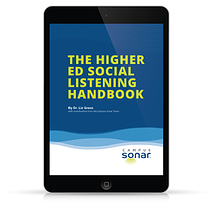 The post Social Listening Drives Strategic Engagement originally appeared on the eduWeb Blog. Amber Sandall is Campus Sonar's Research Manager. 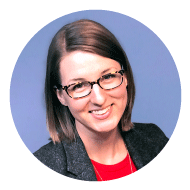 She brings expertise in marketing, communications, and data analysis and reporting to her role of managing Campus Sonar’s social listening research program and team of Social Media Data Analysts. Amber and her team perform social listening research customized to each institution and collaborate with the Client Success team to unearth actionable insights that inform our campus partner’s institutional goals. When she's not thinking about research projects or learning about business administration in her MBA program, Amber enjoys a good taco and a new book.